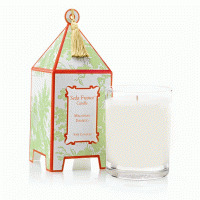 Rhubarb, Passion Fruit and White Fleshed Peach Over a Heart of White Jasmine Petals. Create an instant atmosphere anywhere in your home with Seda France room mistsnow in a gold aerosol can. Easy to use and no messy nozzles. These 6ounce sprays are available in some of their bestselling Classic Toile fragrances and are perfect as gifts. Appealingly provocative, Japanese Quince, is a piquant fragrance with aspects of rhubarb, passion fruit and white fleshed peach over a heart of white jasmine petals. 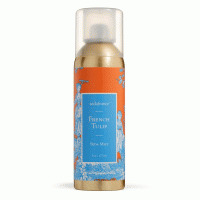 This powerful and diffusive fragrance is one of their best sellers!